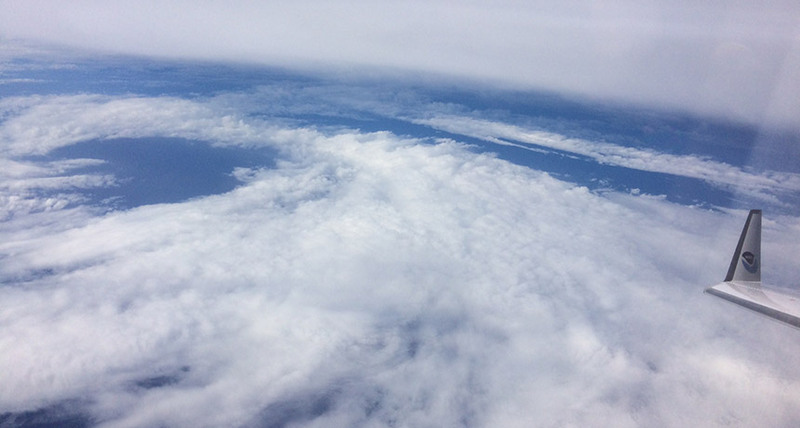 SEEDING STORMS Although scientists weren't successful in stopping hurricanes through cloud seeding, their research during Project Stormfury proved useful for future hurricane forecasting. Since man cannot muster anything approaching the energy of a hurricane, and so has no hope of overcoming the storm by force, Stormfury attempts to use the giant's own energy against it... Last week, Project Stormfury began its 1968 season. - Science News, August 17, 1968. The goal of the U.S. government's Project Stormfury, which began in the 1960s, was to knock the wind out of tropical cyclones. By injecting clouds with particles of ice-forming silver iodide, researchers hoped they could disrupt the destructive eye wall of such storms. Meteorologists tested only a few hurricanes with this cloud-seeding approach because of strict rules and fickle hurricane seasons. The project shut down in 1983. Although it failed to meet its goal, Stormfury helped scientists improve hurricane forecasting (SN Online: 9/21/17). Researchers have proposed other hurricane-busting methods, such as dispersing sulfate aerosols into the stratosphere to try to cool the planet and reduce the number of hurricanes.